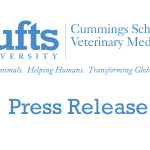 Joining in yesterday’s United Nations celebration of the world’s second eradicated disease are three Tufts University researchers whose pioneering work allowed a rinderpest vaccine to traverse the Sahara in the world’s most remote areas and save cattle from the disease. The United Nations declared that the world has completely eradicated the disease, which killed millions of cattle for millennia. It is the first animal disease to be officially declared eradicated—and only the second disease ever, after smallpox. A resolution approved by the UN Food and Agriculture Organization at its meeting in Rome today stated that the world was free of rinderpest, or cattle plague, but also called on the world community to follow up by ensuring that samples of the viruses and vaccines be kept under safe laboratory conditions and that rigorous standards for disease surveillance and reporting be applied. 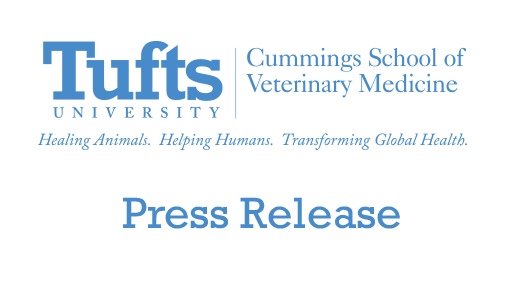 The eradication of rinderpest highlights the importance of veterinarians’ involvement in basic science and global health, said Deborah T. Kochevar, DVM, PhD, dean of the Cummings School of Veterinary Medicine, where the heat-stable rinderpest vaccine work began. There is a continued need for teams of global health professionals to work together to eradicate infectious diseases, and veterinarians will play a key part in this effort. Most of the veterinarians working in East Africa are based in cities and towns and do not often travel to remote regions where nomadic communities are highly dependent on cattle and other livestock—that’s why the community-based approaches supported by Tufts were so important, said FIC Research Director Dr. Andy Catley. It was extremely challenging to keep the vaccine cold while traveling to isolated areas, said Catley. It required refrigeration facilities, ice machines, cold boxes and fleets of vehicles. They needed an easier way to deliver the vaccine. Eradication of rinderpest is an incredible turning point for East Africa, added Peter Walker, PhD, director of FIC and the Irwin H. Rosenberg Professor of Nutrition and Human Security at The Friedman School of Nutrition Science and Policy at Tufts. It alleviates food insecurity and strengthens the economy, and is a step towards meat exports. Ultimately, we hope the eradication will result in a larger and healthier cattle population and we’ll see fewer of the violent cattle rustling raids that plague the region.